As I wrote in my previous post, I didn't really buy a whole big bunch while I was across the pond. I did have the pleasure of visiting Liberty of London. Liberty prints have long been revered and sought after. I am no different. 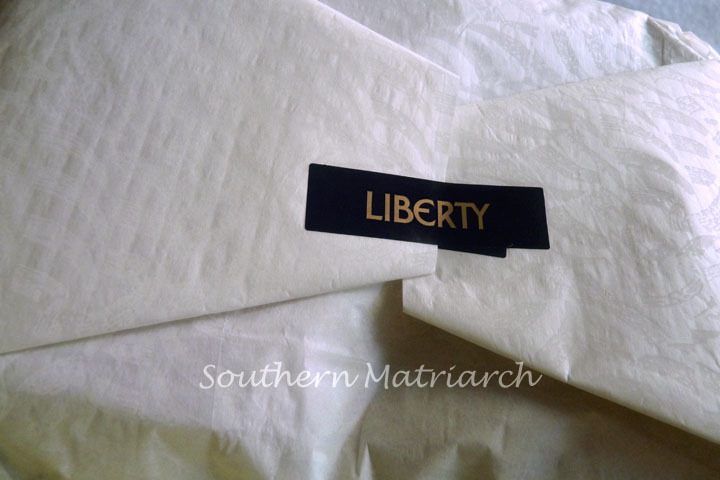 Many fabric retailers carry Liberty prints. Even Target as recently partnered with Liberty to offer a line of Liberty items in their retail stores. Understandably the LIberty items offered at Target are not made from the same long staple cotton or silk available from the regular Liberty line but they do offer a glimpse into Liberty that many people may not have seen. I loved the silk scarves at Liberty. I was tempted to splurge but fought off the urge. I did get two prints that I think will be sweet little bishops. 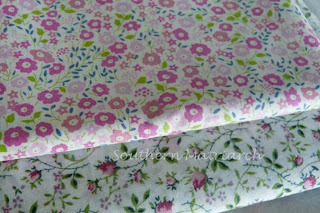 The rose print is very similar to a calico print I made into a bishop for my daughter when she was about 3. She loved it and literally wore it out. Hopefully these little bishops will be much loved as well. I love that top print. Gorgeous! I bought a liberty print while I was at Britex recently. I looked at the one on the bottom but chose one that is similar but new also. Those will be gorgeous bishops. What size are you making?? I adore both prints and can't wait to see them made into those little bishops! The rosebuds are very sweet. I am very impressed with your self-control. It was surprising to me that the Liberty items at Target were only for spring, and are already disappearing. Pretty. Your granddaughter will love knowing one day that you went all the way across the ocean and picked out those fabrics just for her little dresses. I know you will enjoy smocking them! 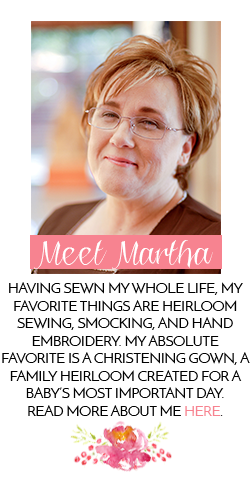 Oh, Martha, you made beautiful Liberty fabric choices! 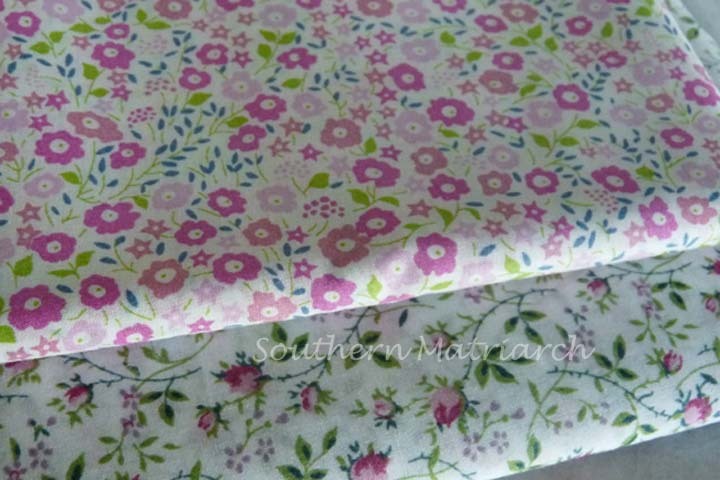 Oh I love your Liberty fabric! I can't wait to see what lovelies you make with them.